A patinated bronze sculpture (one of an edition of three) located in the Temple Gardens, Usher Gallery, Lincoln. 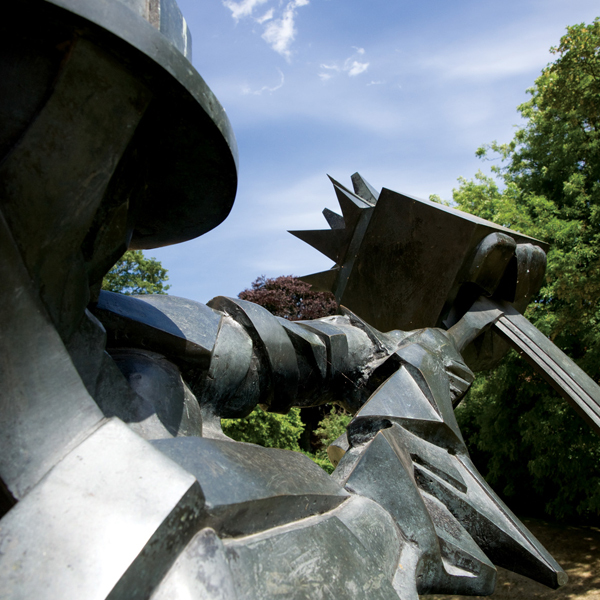 The sculpture is a powerful, helmeted figure with a cudgel, which is used to smash a television screen; ‘This work voices criticisms of what Sandle describes as ‘the heroic decadence’ of capitalism, in particular its appetite for global conflict. He has also attacked the media for packaging and sanitising the destructiveness of war’. Loaned from The Usher Gallery, the sculpture toured Scotland highlands and islands as part of The Highland Festival by Trevor Avery and Nigel Mullan, 1997. Born in Dorset, Michael Sandle studied at Douglas School of Art and Technology, Isle of Man (1951 – 54), then at The Slade (1956 – 59). 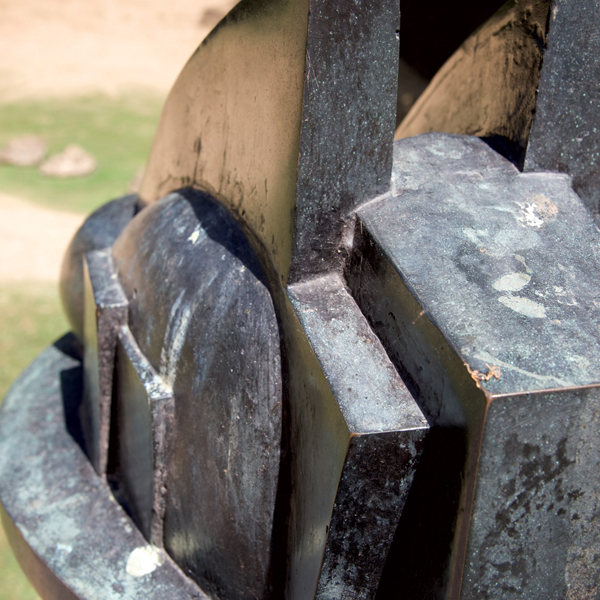 In his early work he emphasised craftsmanship and the search for symbols, rejecting the abstract formalism increasingly common in sculpture of the period. Throughout the 1960s and ’70s he worked on a small range of individual works in which he explored abstract and figurative idioms. During the 1980s his work became increasingly monumental, exploring themes of war, destruction, inhumanity and media manipulation.